Brigham Young University graduates who are female earn 57 percent less than male graduates. For Princeton graduates, the difference is 37 percent. And at Stanford, it's 32 percent. In fact, according a study commissioned by Priceonomics, for America's top colleges, the average gender wage gap is 19 percent. While men after graduation earn an average of $59,028, women earn $47,887. The analysis, performed by Business Student, which used Department of Education data from the College Scorecard project, examined average earnings for people who had begun school six years earlier and who were now out of college and working. The assessment included the top 100 universities and the top 25 liberal arts colleges, as defined by the U.S. News & World Report Best Colleges rankings. The analysis left out those schools that didn't report the data. 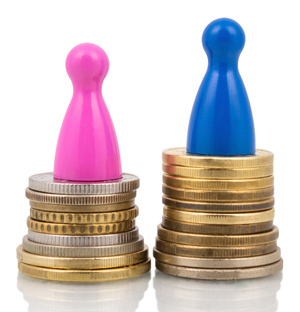 As the report noted, in "pretty much" every case, women graduates earn less than men. For 58 schools, female grads earn between 10 percent and 20 percent less. For 29 schools, the gap is between 20 and 30 percent; and for 10 schools, the difference is greater than 30 percent. The list of universities where the largest gender gaps exist "are virtually all of the most prestigious schools in America." That includes Harvard, Stanford, MIT, Duke, Brown, Dartmouth and Michigan. The lone exceptions — where women graduates' average earnings exceed those of men's — are Clark University (where female grads earn 6.3 percent more than male grads), Stevens Institute of Technology (with a 1.6 percent difference) and Yale University (with a 0.1 percent gap). Which institutions boast women graduates with the highest salaries? Harvard tops the list, with an average income of $83,000. That's followed by MIT ($82,400) and Stanford ($76,700). Those are the same three schools for which male graduates earn the most, all with an average salary between $112,400 and $112,700. The lowest salaries came from female graduates of Brigham Young ($28,800), Grinnell College ($32,600), Colorado College ($32,900), the University of California, Santa Cruz ($33,200) and Vassar College ($34,500). The same ones also show up on the list of colleges where male graduates earn the least, led by Clark University ($33,500) and UC Santa Cruz ($37,500). The researchers declined to speculate about why women graduates from 114 of the top 117 universities and colleges earn less than men, suggesting that "it could be anything from different genders choosing occupations that pay differently or overt discrimination." However, the result is "a phenomenon that's likely to have gender equality implications for the rest of their lives." The full report and ranking is on the Priceonomics website.